Qualcomm Technologies is showcasing its recently-announced Snapdragon X16 LTE modem at this week's Mobile World Congress -- representing a 10X leap over first gen LTE and 500X over early 3G devices. In a demo featuring Ericsson's Software 16B release, the modem is achieving download speeds up to 1 Gbps using a combination of 3x carrier aggregation, 4x4 MIMO on two aggregated carriers, and higher-order modulation using 256-QAM. 4x4 LTE MIMO in a smartphone prototype test-developed by Sony Mobile Communications, based on the Snapdragon 820 processor with X12 LTE. This represents the first implementation of 4-layer MIMO in a smartphone form factor. The X12 LTE modem’s 4x4 MIMO capability doubles LTE throughput on the same amount of spectrum — up to ~400 Mbps in only 20MHz of spectrum. LTE Wi-Fi Link Aggregation (LWA) using the over-the-air system with commercial-ready converged LTE/Wi-Fi smart gateway integrating Qualcomm FSM99xx small cells and IPQ40xx solutions. A converged gateway aggregates the LTE and Wi-Fi airlinks and enables smart and dynamic load balancing between LTE and Wi-Fi, as well as provides a unified network to better utilize both licensed and unlicensed spectrum. LWA is designed to allow operators to utilize new and existing Wi-Fi networks to offer superior performance and a seamless user experience. Low-power LTE - two demos showcase 4G connectivity for IoT applications. The first demo showcases how LTE-connected IoT devices can achieve 10 years of battery life on two AA batteries, using the Power Saving Mode (PSM) of the MDM9207-1 modem. The second demo, in collaboration with Ericsson, offers a preview of the Extended Idle DRX feature that is part of 3GPP Release 13 spec. LTE Extended Idle DRX allows the mobile network and the IoT device to synchronize the timing at which the device awakes to receive data from the network with very long intervals, thereby extending its battery life. MulteFire, the first-ever tradeshow demonstration of LTE-based technology operating solely in unlicensed spectrum. 5G millimeter wave 28 GHz demo, showcasing adaptive beamforming and beam tracking techniques which enable robust and sustained broadband communications operation under line-of-sight (LOS) and non-line-of-sight (NLOS) RF channel conditions and device mobility. 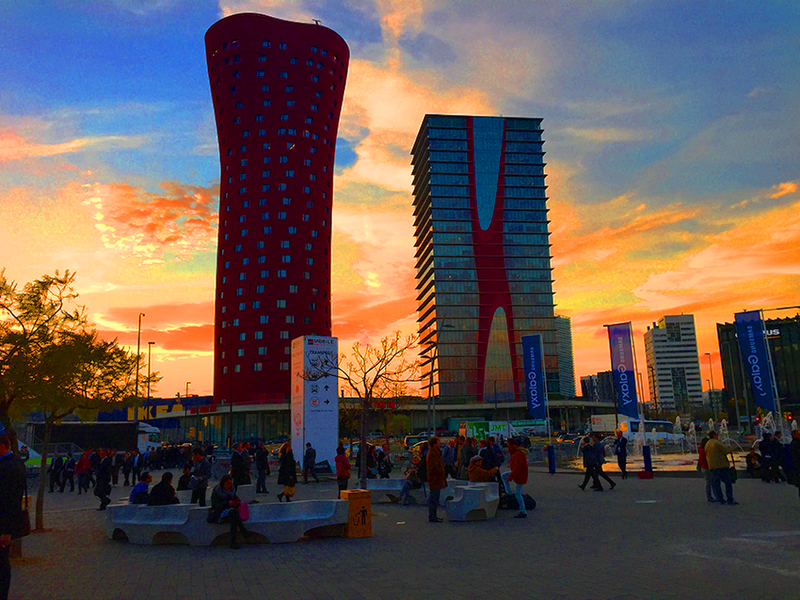 “We’re excited to bring several of our newest innovations to Mobile World Congress for the first time. From enabling the first Gigabit Class LTE with our Snapdragon X16 LTE modem to providing a glimpse into how Qualcomm Technologies is approaching 5G connectivity, these demonstrations show several of our latest technologies we’re bringing to the industry,” said Tim McDonough, senior vice president of marketing, Qualcomm Technologies. Ericsson expects its first Virtualized RAN field trial with a mobile operator in 2016. The company said the adoption of cellular IoT and Low Power Wide Area (LPWA) networks supporting millions of IoT device connections per cell site will drive the need for Cloud RAN flexibility. Ericsson Virtualized RAN enables Virtual Network Functions (VNF) to be supported on a split architecture, with parts of the protocol stacks centralized on commercial off-the-shelf (COTS) hardware, while others are decentralized. Ericsson enables both RAN and core functionality to be co-hosted on the same server, increasing the operational simplicity and savings enabled by virtualization without compromising on performance. Ericsson's live Cloud RAN demonstration at MWC 2016 this week features radio access functionality virtualized on remote servers located in Sweden, including virtual instances of the Radio Resource Control Function (RRCF) and Packet Data Conversion Protocol (PDCP) function. Ericsson is also showcasing its end-to-end role in the Network Functions Virtualization (NFV), including virtual EPC gateway functionality for local breakout of specific services or devices. Nokia is taking the wraps off of its next generation, AirScale radio access solution, which puts multiple radio technologies simultaneously in one base station and is designed to leverage open cloud-based architecture. Nokia said operators will be able to use its AirScale Radio Access to profitably satisfy future demands including the Internet of Things, virtual reality, augmented reality, factories of the future and other advanced scenarios such as video that demand extreme performance. "The world will witness immense changes over the next few years. Broadband traffic will continue to surge as people go beyond video and take advantage of augmented and virtual reality. The Internet of Things will see billions of devices connected, and 5G will enable new scenarios such as Industry 4.0, smart cities, e-health and mobile living. Nokia AirScale is designed from the ground up for this new era, while also introducing ground-breaking cloud-based capabilities," stated Samih Elhage, President of Mobile Networks at Nokia. Nokia unveiled its AirFrame Data Center Solution for combining the benefits of cloud computing technologies with the stringent requirements of the core and radio in the telco world. The Nokia AirFrame Data Center Solution is the company's foundation for meeting the latency and data processing requirements of the future, including 5G and distributed cloud applications. The portfolio is build around highly integrated, Intel-based servers and switches that are optimized for low-latency, scalability, flexibility and business agility.